← NaNoWriMo is here, and I’m stocked up on Coffee. Let’s get those fingers flying! As promised, a little teaser of what’s to come as my new book, Changed Tomorrows comes together. Lord only knows what a merry chase these boys will lead us on as they dash headlong out of one adventure and into the next. So far, NaNoWriMo is going well. I’m more than two days ahead of schedule with nearly 10,000 words knocked out. Hope the rest of the month goes as well as the first three days! Jim lay awake long into the night. The decision to go back through the portal wasn’t a difficult one, but the fear of what would happen once he was back through kept sleep far away. Questions and worries paraded through his mind, one behind the other; each new one adding more weight to his shoulders. He hoped his adopted family had stayed in the little town of Iitaawaa and that he would be able to find them. Without their help he would stand little chance of getting up to the border between Unalii and the United States. He would have to travel by foot and live off the land. When the first rays of the spring sunrise peeked over the tops of the trees, he felt no more rested than when he laid down. 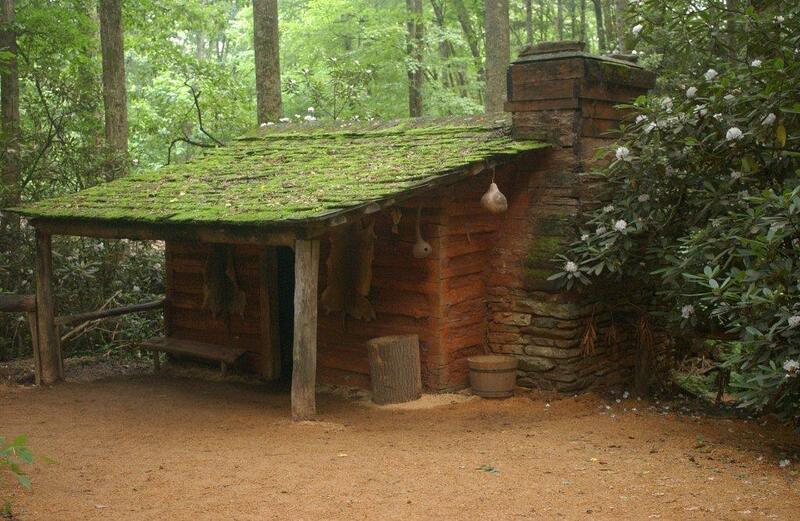 He heard Hiawassee begin to stir in the dim half-light of morning, preparing breakfast for her family. He rose from his bed and joined her in the cooking area. “You’re up very early on this cool morning. Is the excitement of your journey keeping sleep away from your eyes?” Her warm, gentle eyes and kind face made him feel instantly better. “I’ve been thinking all night about what might happen when I go over. What if I can’t find our family? What will I do then?” Tears threatened to bathe his stinging eyes. Hiawassee stopped her breakfast preparations and stepped over to where he sat. She wrapped him in her strong arms and he took in her earthy, herbal scent. When she held him like this, he was sure nothing on earth could possibly go wrong. Jim looked into her soft, caring face with just a few tiny lines beginning to appear at the corners of her brown eyes and above her brows. He knew that he loved this woman as much as he loved his own mother and that she loved him as her own son. He gathered strength from her and knew that no matter what happened over the next few weeks, he had the comfort of knowing he had a home to come back to. Dustu lay on his bed listening to the quiet voices. The little sleep he’d gotten during the night was broken and troubled. He didn’t want to see Jim go into the portal again for fear of never seeing him again. For the past two years, the boys had become inseparable. Dustu taught his adopted brother to make arrows for the bow he had made for him. They hunted together often. It was a source of much joking that Jim had never hunted before coming to the village. He stumbled about in the forest, tramping around like a mad animal. Dustu told him often that the deer they hunted had no fear of him because they could hear him coming long before he could get within range of hoping for a shot. To Jim’s credit, he was a good student and within a short time he was able to move as stealthily as his brother. He learned to judge the direction of the wind and within one cycle of the moon, he managed to place his arrow directly into the heart of a young buck. There was a great celebration in the village that night. Everyone came to the feast Hiawassee prepared to offer their congratulations. Jim was sure he had never been happier or felt more of a sense of belonging than he did that night. At last, Hiawassee broke her embrace saying she needed to get a fire going for breakfast. Dustu used that moment to get up and greet the family. He came and sat next to Jim, placing his arm around his shoulders. No words were needed as the brothers silently communicated their love and respect for each other. Words would come later, perhaps when they were alone at the portal. Bearing in mind this is a first draft, I’d love to hear what you think of it! This entry was posted in Changed Tomorrows and tagged First draft, National Novel Writing Month, New Yesterdays, Sequel, writing. Bookmark the permalink. I like it Jim. I hope Dustu ends up going through the portal with Jim. Keep up the good work. Can’t wait to read it. I am going to re-read New Yesterdays before I start on your new one so I can refresh my memory. Thanks Annette, and thanks for stopping by! It means a great deal to me that you liked this, Mother. Thank you so much! I hope I’ll be finished with it soon and you’ll have a copy in your hands! I love you right back! I’ll be waiting. Let me know as soon as it is in print, of course I want the book on real paper. Naturally, you’ll be the first to know! Love ya! I love you to more than you will ever know and miss you just as much.